Lions wrap up the regular indoor season at Gorilla Classic. PITTSBURG, Kan. – The Texas A&M University-Commerce men’s and women’s track and field teams performed in their final meet of the regular indoor season at the Gorilla Classic on Friday and Saturday. “This was by far the best that we’ve completed this indoor season,” said Lion head track and field coach George Pincock. “Josh Boateng broke his own school, and Grenadian national record and the men’s 4×400 relay ran phenomenally with the second fastest time this year in Division II. Five qualifying marks on the men’s side highlighted the meet for the blue and gold, with the men’s 4×400 meter relay team capping the event with a meet record. The time of 3:10.44 put up by Gabriel Peterson (Lancaster), D’Lance Sharp (Commerce), Stadrian Taylor (Lancaster), and Rashard Clark (Los Angeles, Calif.) is an automatic qualifying time and the second-quickest in the nation this season. 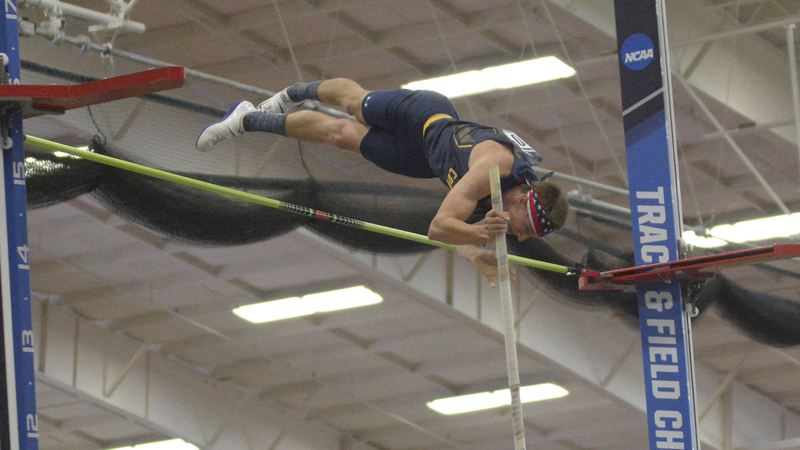 Hudson Hall (Gregory-Portland) earned a top 10 mark in the nation in the men’s pole vault at 5.06m (16-7 ¼), likely punching his ticket for a return trip to Pittsburg. Another top 10-mark in the nation came from Sir Morgan Loudd (Waco – La Vega), who established a personal best in the men’s triple jump with a provisional qualifying mark of 15.05m (49-4 ½). Josh Boateng (St. George’s, Grenada) improved his A&M-Commerce school record, Grenadian national record, and provisional qualifying mark in the men’s shot put by a foot and two inches, moving ahead to 17.77m (58-3 ¾). Jordan Wilson (Blytheville, Ark.) leaped into the top 15 in the nation in the men’s long jump with a career-best mark of 7.26m (23-10). The Lions’ full indoor contingent will now switch into postseason mode, traveling to Lubbock next Saturday and Sunday for the Lone Star Conference Indoor Track and Field Championships at Texas Tech. This meet will also serve as the final chance to set or improve qualifying marks for the NCAA Division II National Championships. Blazing start and high assist-total lift Lions 89-63 over MSU Texas. COMMERCE – The Texas A&M University-Commerce men’s basketball team defeated MSU Texas 89-63 on Saturday afternoon on at the Field House. The Lions dominated in the first half with a high shooting percentage and cruised to victory. The Lions return to action on Thursday at 7:00 p.m. They will face Tarleton at Wisdom Gym in Stephenville. On the play of Clarence Evans as a starter: “Cal did an unbelievable job. He did exactly what he needed to do. He took care of the basketball, took care of the basketball and had a couple rebounds. He was looking to play the role we had him play and did an unbelievable job. You have to be ready when your number is called, and he definitely was. The Lions dominated the entire first half, scoring at will and would lead as many as 28 points in the opening period. A very poised Carson Tuttle (Mukilteo, Wash.) and Clarence Evans (Austin – Aggieland) directed the Lion offense, and the Lions went into the break leading 52-26. With the lead at 27, all the Lions needed to do was cruise home. Evans, who made his first start of the season, came in for relief for Tuttle again late in the matchup. Evans got everyone involved, and Terrell finished things off for the Lions after a flashy dime from Evans, draining the Lions’ final basket of the contest. COMMERCE– The Texas A&M University-Commerce women’s basketball team defeated MSU Texas 73-61 on Saturday afternoon. The Lions jumped on the Mustangs in the second half to secure to victory. The win propels the Lions to 15-7 on the season and 10-4 in the Lone Star Conference. The Mustangs fall to 8-13 and 5-9 in conference play. A crowd of 1,073 witnessed the game as part of “Fill The Field House” presented by the Enrollment Management Division. The Lions will be back in action next Tuesday to take on Tarleton. The game will be played in Stephenville at 5:30 p.m. at Wisdom Gym. – Alexis Bryant (Pflugerville) co-led the team with 16 points and also had a double-double with 12 rebounds. – Ekaterina Zhibareva (Liske, Russia) also had 16 points, shooting 8-for-12 from the field. – Alexus Jones (Lewisville – Aledo) added 14 points, and Chania Wright (DeSoto) had 10 points. – Late in the first quarter, Princess Davis (Shreveport, La.) recorded enough time to become the program’s all-time minutes leader. Davis has now played a program-record 3,398 minutes. She had seven points and led the team with four assists. – The Lions shot 42 percent from the field and scored 42 points in the paint. The Lions also forced 16 turnovers, turning them into 26 points. – With the win, the Lions are now guaranteed to finish the season above .500. This is the fifth consecutive season the Lion women have finished .500 or above, which sets a program record. The scoring went back and forth to start the game as the teams traded baskets early on in the matchup. Zhibareva and Bryant protected the paint early on for the Lions, but neither side could pull away from each other, and the Lions led 20-19 after a quarter of play. The Mustangs were much more physical in the second quarter, and it showed as MSU shot 10 free throws in the quarter and got the Lions in foul trouble. Although being in foul trouble, the Lions were still able to maintain a lead against the Mustangs. The Lions extended their lead to as many as seven in the quarter after Maddison Glass (Missouri City – Hightower) penetrated the lane multiple times and Zhibareva gave the Lions good second chance opportunities by crashing the glass. Rebounding kept the Lions in the game as MSU took a 36-34 lead going into halftime. Zhibareva led the Lions with eight points in the half while Jones and Davis both added six points, while Bryant and Glass each had five. The Lions outrebounded the Mustangs 21-13 in half. The Lions came out much more efficient on the offensive end to start the second half. The Lions jumped out to a 40-36 lead after Bryant and Jones both got to the free throw line early. 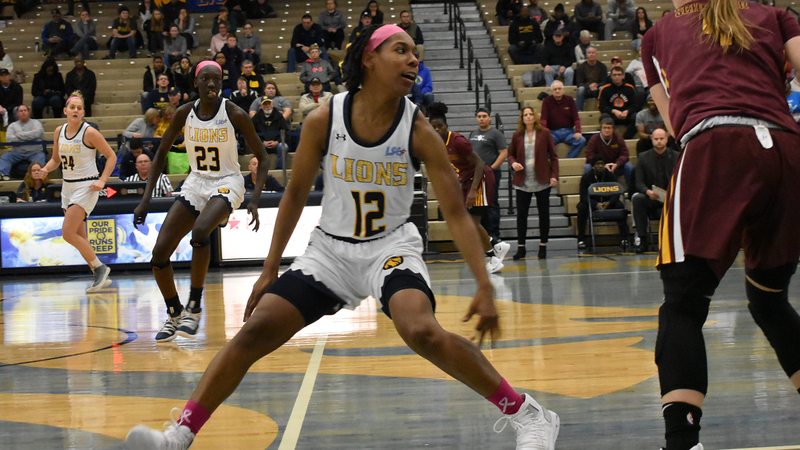 Bryant continued to dominate the paint as she hit four more free throws and scored quickly in the paint and the Lions regained the seven-point lead. The Lions concluded the quarter with an eight-point advantage after Zhibareva scored four more points. The Lions took a 57-49 lead going into the fourth. The Lions put some distance between them and the Mustangs and extended their lead to 12 early on in the quarter. Wright got some good looks, scoring two quick buckets midway through the quarter to keep the Lions clear from the Mustangs. MSU could never get the score under 10 in the fourth, and the Lions finished with a 73-61 victory. Davis becomes program all-time minutes leader as Lions knock off MSU Texas 73-61. The win propels the Lions to 15-7 on the season and 10-4 in the Lone Star Conference. The Mustangs fall to 8-13 and 5-9 in conference play. The Lions will be back in action next Tuesday to take on Tarleton State. The game will be played in Stephenville at 5:30 p.m. at Wisdom Gym. – Ekaterina Zhibareva (Liske Russia) also had 16 points, shooting 8-for-12 from the field. – Alexus Jones (Lewisville – Aledo) added 14 points and Chania Wright (DeSoto) had 10 points. – Late in the first quarter, Princess Davis recorded enough time to become the program’s all-time minutes leader. Davis has now played a program-record 3,398 minutes. She had seven points and led the team with four assists. Both teams were back and forth to start the game as the teams traded baskets early on in the matchup. 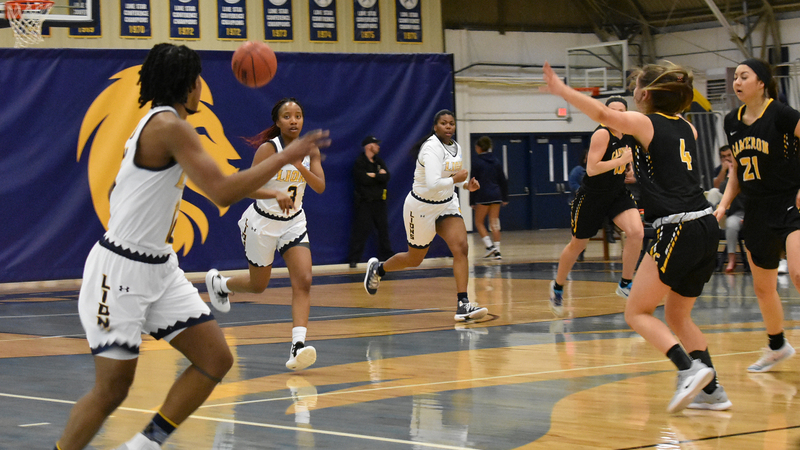 Zhibareva and Bryant protected the paint early on for the Lions, but neither side could pull away from each other, and the Lions led 20-19 after a quarter of play. The Mustangs were much more physical in the second quarter, and it showed as MSU shot 10 free throws in the quarter and got the Lions in foul trouble. Although being in foul trouble, the Lions were still able to maintain a lead against the Mustangs. The Lions were able to extend their lead to as many as seven points after Jocelyn Pierce (Argyle) provided a spark off the bench. The Lions extended their lead to seven once again in the quarter after Maddison Glass (Missouri City – Hightower) penetrated the lane multiple times and Zhibareva gave the Lions good second chance opportunities by crashing the glass. Rebounding kept the Lions in the game as MSU took a 36-34 lead going into halftime. Zhibareva led the Lions with eight points in the half, Jones and Davis both added six points, while Bryant and Glass each had five. The Lions outrebounded the Mustangs 21-13 in half. The Lions came out much more efficient on the offensive end to start the second half. The Lions jumped out to a 40-36 lead after Bryant and Jones both got to the free throw line early. Bryant continued to dominate the paint as she hit four more free throws and scored quickly in the paint and the Lions all of a sudden had a seven-point lead. The Lions concluded the quarter with an eight-point advantage after Zhibareva scored four more points. The Lions took a 57-49 lead going into the fourth. No. 9 Lions game against Drury canceled due to extreme cold weather. SAN ANTONIO– The No. 9 Texas A&M University-Commerce softball team has announced a schedule change. Due to the extremely frigid temperatures and player safety concern, the Lions’ game against Drury, scheduled for 12:15 p.m. today, has been canceled. As of 9:00 a.m. CST, the Lions’ game against Regis, scheduled to be played at 4:45 p.m. today, is still on schedule. The Lions are currently 7-1 on the season after defeating St. Mary’s and New Mexico Highlands yesterday in the first day of the St. Mary’s College Classic. 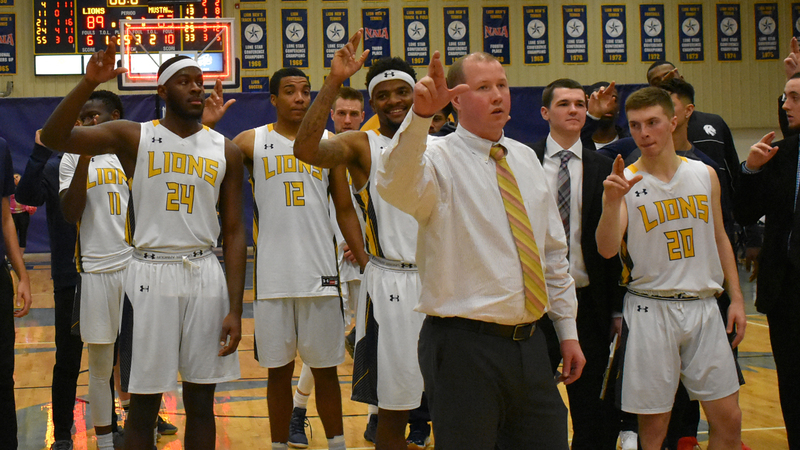 The Lions are also scheduled to face Colorado School of Mines at 12:15 p.m. on Sunday. No. 9 Lions blast New Mexico Highlands 27-3, blank St. Mary’s 3-0 on the first day of the tournament. SAN ANTONIO– The No. 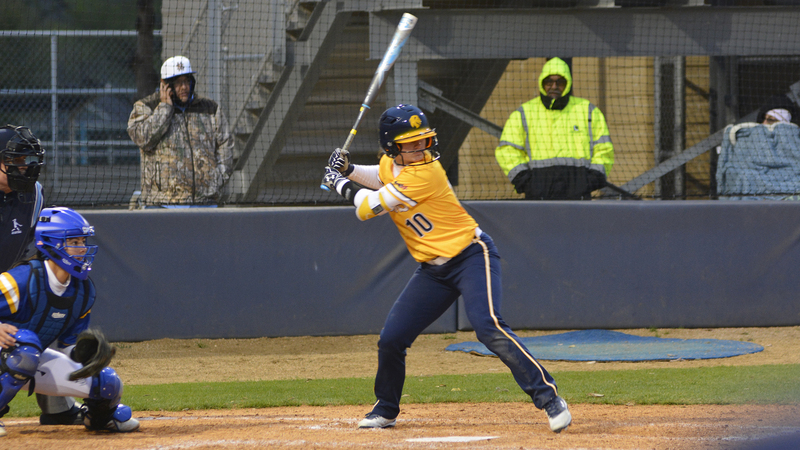 9 Texas A&M University-Commerce softball team picked up two wins in the first day of the St. Mary’s College Classic. The Lions defeated New Mexico Highlands 27-3 in the morning before knocking off host St. Mary’s 3-0 in the afternoon. Temperatures through the day hovered at 40 degrees or below, with significant winds affecting both games. The wins bring the Lions to 7-1 on the season. The Lions return to action tomorrow for two more games in San Antonio. The Lions will face Drury University at 12:15 p.m. before facing Regis at 4:45 p.m. Both games will be played at the St. Mary’s Softball Complex. – Bri Sims (Rowlett) continued her hot streak, going 3-for-3 with three runs scored and six RBIs. She had the game-winning RBI and also had a two-run homer. – Kayla Kilcrease (Kerens) hit a grand slam in the second inning, her second career grand slam. She finished with three runs scored and five RBIs. – Katie Dean (Whitesboro) pitched 4.0 innings, striking out three without giving up an earned run. – The Lions scored 27 runs, setting a program record for most in a single game. The mark was one run shy of tying the LSC record. The Lions also set the program single-inning record, bringing in 16 runs in the second inning. – 10 different Lions had RBIs, and 15 players scored runs. The Lions hit .600 as a team while also drawing 11 walks. – The Lions had 22 different players play in the game. After surrendering a double early in the first, Dean worked her way out of the inning. She forced a double-play grounder and also had a strikeout. The Lions then took the lead in the bottom of the first. After walks and steals from both Ciera Nunez (Amarillo – Randall) and Kilcrease, Sims came to the plate and singled to the left, bringing in two runs. The Lions led 2-1 after one complete inning. The Cowgirls brought a run across in the top of the second inning before the Lions went to work. The Lions tore the game open in the second, scoring 16 runs. The first four runners reached base with three singles and a walk. Kilcrease then came to the plate and blasted a pitch over the fence for a grand slam. After another base on balls, Sims then went to the plate and hit a two-run homer of her own. Jodie Hill (Heavener, Okla.) had a triple that drove in two more runs. Sims had another two-run single and Hill had another one RBI. In all, seven different Lions had RBIs in the inning. The Lions led 18-1 after two complete. After a quick top of the third inning from Dean, the Lions again went to work in the bottom. Chealsea Slider (Texarkana, Ark.) had a single drive in a run, Avery Boley (Fort Worth – Nolan Catholic) had a sacrifice fly, and Vanessa Muro (Oak Hills, Calif.) had an RBI single. After three complete, the Lions led 22-1. The Lions brought five more runs across in the fifth inning, including an RBI single from Ta’Lyn Moody (Mansfield) and a base-clearing 3-RBI double for Laney Searcy (Houston – Cypress Falls). The Lions led 27-1 after four complete innings. NMHU scored two runs in the fifth inning. – Jodie Hill (Heavener, Okla.) gave the Lions the lead in the second inning with a solo home run. – Emily Otto (Richmond – Lamar Consolidated) pitched a complete game shutout. Otto had four strikeouts and surrendered just two hits. It was her 16th career entire game. – Kimber Neal (Humble – Atascocita) had two hits, drove in a run and scored a run. – Kayla Kilcrease (Kerens) had two hits and an RBI. Ciera Nunez (Amarillo – Randall) also scored a run. The Lions had two baserunners reach in the top of the first. Neal and Kilcrease were in scoring position but could not be brought around. In the bottom of the first, Otto retired the side in order, including a swinging strike. The game was scoreless after one complete. Hill led off the second inning and took hold of a pitch. Despite the wind blowing in, Hill’s bat creamed the throw over the left-center wall to give the Lions the lead. Otto got two more swinging strikeouts in the bottom of the inning as the Lions held a 1-0 lead after two innings. The teams went scoreless in both the third and fourth innings. The Lion defense continued to play well as the Rattlers were held to just one hit over that same span. The Lions bolstered their lead in the fifth inning. Nunez doubled and was brought in on the double by Neal. After stealing third, Neal came home on a single from Kilcrease. Otto continued her hot streak, holding the Rattlers without a hit. After five complete innings, the Lions held a 3-0 lead. Otto continued to be an unsolvable riddle for the Rattlers as she again held St. Mary’s without a hit. She held the Rattlers without connecting in the final three innings as the Lions left with the shutout.